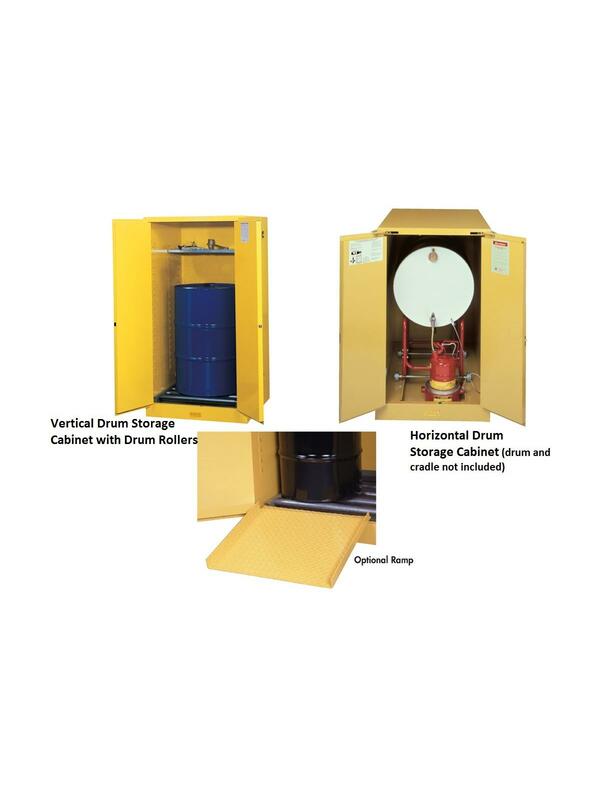 Choose a horizontal or vertical cabinet to store 30 or 55 gal. drums. Automatic closing models feature sequential door closure mechanism protected with a fusible link activated device. H899160 - Codes state that not more than 60 gallons may be Class I and Class II liquids. Units with rollers facilitate movement of heavy drums. Optional Ramp with tread design fits securely over sill to make loading drums easier. FOB Shipping Point. 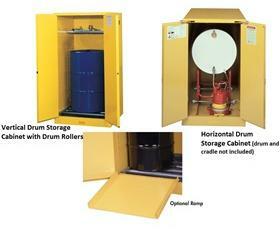 See Related Items tab for Drum Storage Cabinet - Optional Ramp. Contents in photos of cabinets are not included.